SPRING, it’s finally here! Birds chirping, sunshine, flowers blossoming, little creatures sprouting out again and for me personally the craving for some extra juicy fruits. 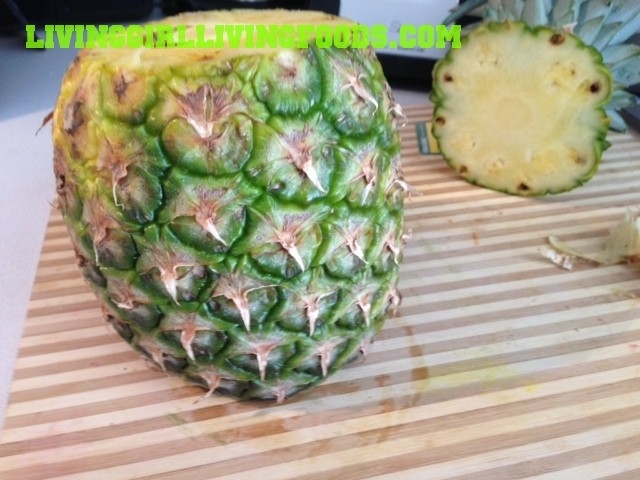 In this post I will be sharing tips on how to cut a pineapple, this technique is identical to how I cut melons except for pineapples I cut around the core. I hope this saves your fingers and the cost of buying packaged pre-cut fruits. When these yummy fruits are cut properly there is extremely little trash and more food in your belly! Before I talk about how to cut a pineapple I would like to share a tip on how to pick a good pineapple. When purchasing a pineapple, check if the bottom is moldy. If it is, then there is most likely some fermenting/bad spots in this pineapple. First, cut the top and bottom of the pineapple. Cut as closely to the top as you can and try to make a nice even flat cut. This way we can have our pineapple sit up straight nicely while trimming the sides. Follow the curve of your pineapple and slice downwards towards your cutting board. The main concern is getting the green hard husk-like material off of the pineapple. Later you can trim it down more. This way you are saving more pf the pineapple. 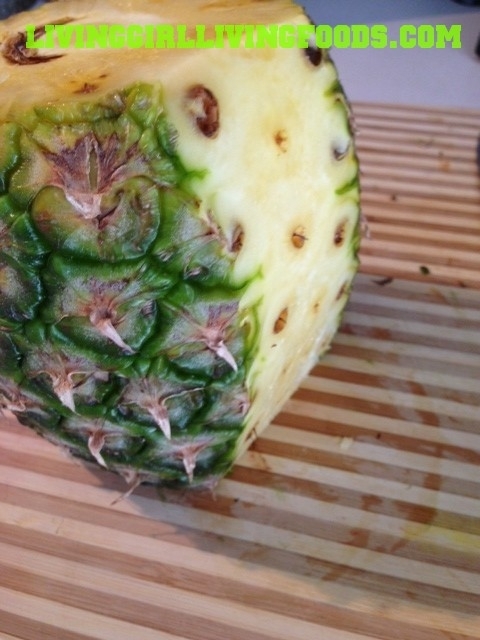 After cut your pineapple into four large sections, this way the core is a square like shape. If you have a pineapple corer then please us it instead. 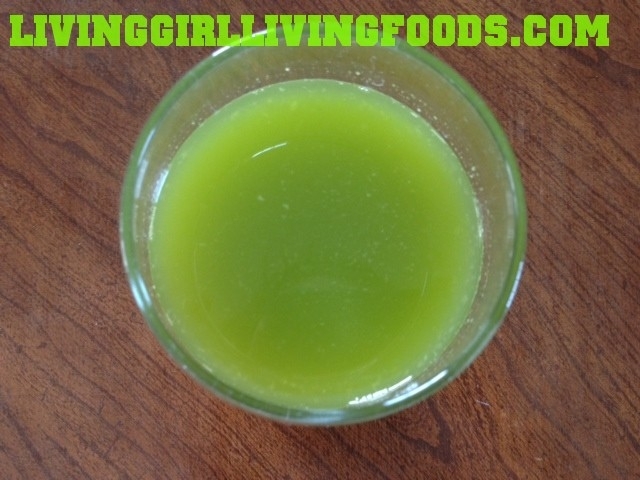 Pineapple cores are actually very easy to juice, but typically are too fibrous to blend. It leaves these hay-like strands that are difficult to consume. Today I made a juice with the pineapple core and a little extra pineapple. Below is what I came up with.